More than a simple storage unit – Boby is an icon, now reissued to please all design addicts. Joe Colombo’s desert trolley, which gained the first prize of SMAU Industrial Design Award, has been included in the permanent MOMA collection! The artist was influenced by futuristic and Pop Art styles, which can easily be seen in his creations. Not only the style but also Colombo’s sense for detail and functionality make this piece indispensable. 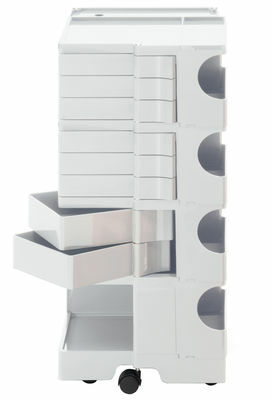 To sort and tidy things will be very easy thanks to numerous drawers Boby features, and you will save space, too! Moreover, its smart wheels allow you to have Boby always next to you, no matter what you need it for. Boby also features a top which you can put your accessories on. 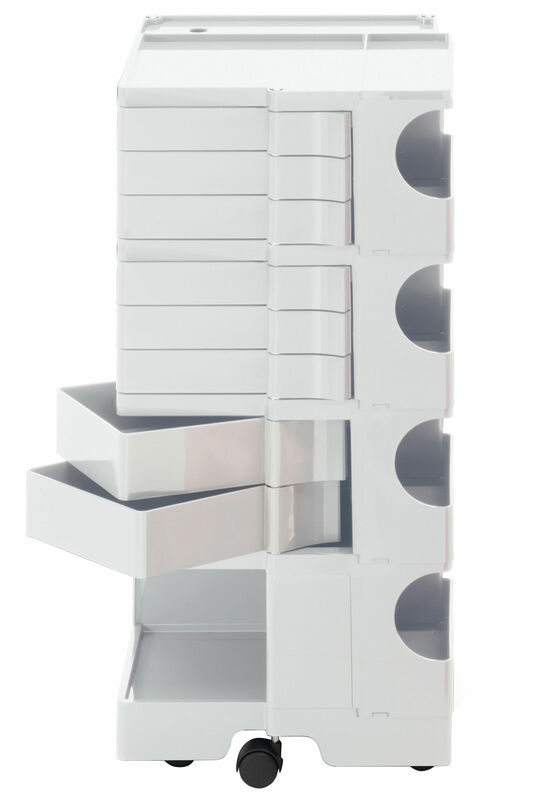 Boby will be useful in an office or bathroom, it’s up to you: the drawers can be used to store both papers or beauty products. And to give Boby a perfect, playful look, the resistant ABS plastic comes in an array of different colours, from pop art to more subdued ones.